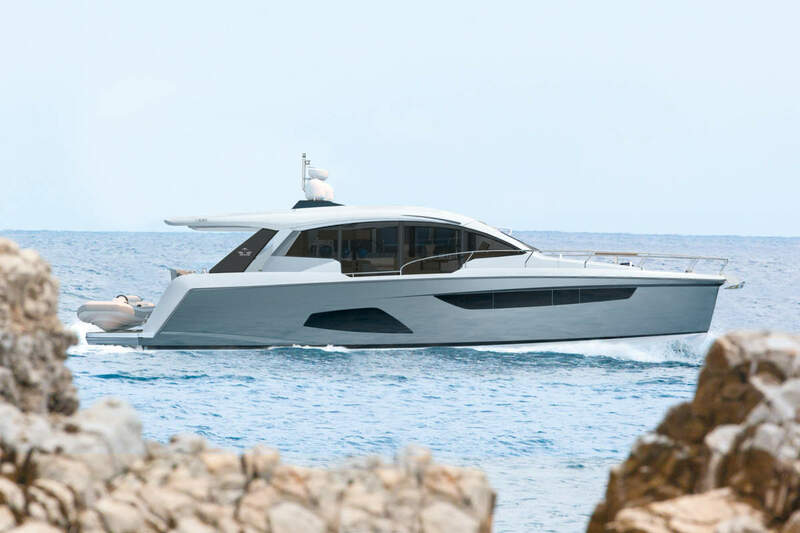 The all new Absolute 58 Fly built by Absolute Yachts Italy, brings together a perfect union of ergonomics and technology. The 58 Fly is 17.24m long by 4.65m wide and propelled by two of the new D8-IPS 800 Volvo Penta engines. The interior design of the yacht resembles that of the Absolute 60 Fly. Aesthetic design follows the traditional family feeling of the yard but offers some new and larger sleek window design. The WSB team takes a closer look at the new arrival.